Location: Bruay-la-Buissière, in the Pas-de-Calais departement of France (Nord-Pas-de-Calais Region). Notes: Château de La Buissière of La Bussiere are located on the site of the town of Bruay-la-Buissière.The first traces of the castle date from the twelfth century. It was a pleasure residence, which was in particular one of the second homes of the Countess Mahaut in the fourteenth century. In the fifteenth century, the castle was strengthened: it consists of a pregnant girding two hundred acres of forest, and an imposing rectangular keep. 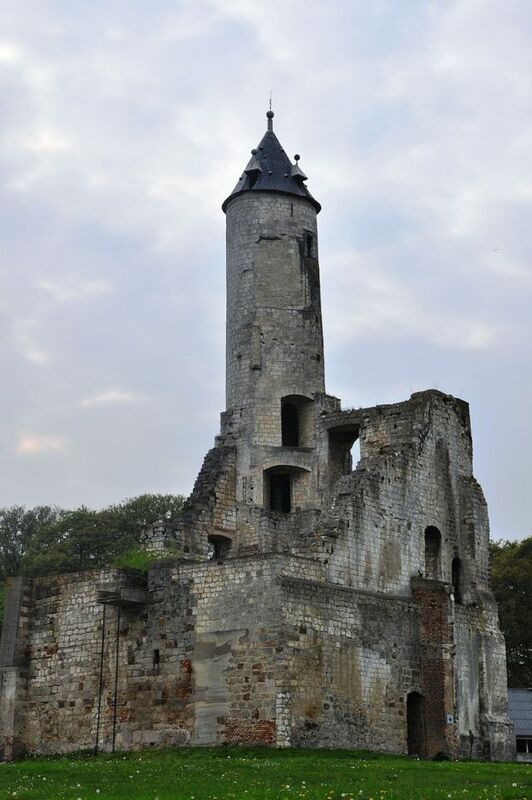 In 1662, the owner of the castle sells sandstone ruined castle to Louis XIV for Menin construction. The castle was transformed in the eighteenth century country residence by Angel Maulde. Around the restored dungeon he built a home in the square. However, the castle falls again abandoned. The Company acquires Houillères the early twentieth century, but eventually demolished in 1970. All that remains of the castle half-ruined keep.